I have delved into the world of book covers before, finding a bunch of romance and thriller novels which shared the same stock image. However, since I write science fiction, I wanted to know if there were any great stock photos within the genre that have been a little too played out. Enter Future women concept, black latex with neon lights. Now, future woman is featured in a few different photo compositions, but I restricted this post to just this one (I’m not particularly fond of covers that feature guns, and in this photo, future woman left her massive weapon at home). I do want to point out that Future Wars, Bare Girl, and Book Title currently exist only as premade covers. Mara Amberly does say on her listing, “I can’t guarantee other people won’t use the same stock art,” and Red Raven states, “Exclusivity of stock photos not guaranteed,” which I admire. The point of these ‘Stock Beware’ posts is not to poke fun at authors/cover designers or outright vilify the use of stock photography. Making a book cover for a novel is incredibly hard. On one hand, it should fit with the current trends for covers in the same genre, but on the other hand, it needs to stand out. Some authors want to have an exact replica of a scene or character on the cover, but this is a lot harder to do when using only a few stock photos. Then, there are also authors who purchase a cover before writing the book, which makes it easier to have the cover image and content match perfectly. At least then, if I purchased Book Title, I could make my main character look like future woman complete with a leather bodysuit and neon light. 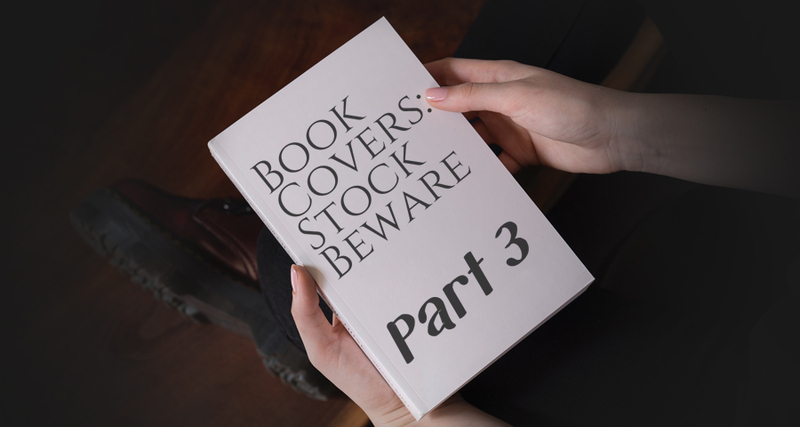 There are some designers who ask their clients to pick a stock photo which will be used to build the cover, and a few authors make their own covers, just adding text to a gorgeous image. There’s nothing wrong with this. In fact, it’s exactly what I did for the cover of The End of Refuge. Stock photo websites sort images by how frequently they’re downloaded. So when I search “sci-fi woman,” one of the top results is our friend wearing latex and neon. Finding the ‘perfect’ image is just about impossible, so it makes sense when authors/designers pick the very first pretty photo they encounter. I’d recommend doing several image searches, then picking something that isn’t on the first page of results. All three images I’ve featured so far are compositions. Book covers have become incredibly sophisticated, demanding a certain degree of photomanipulation. So instead of combining several images and expertly blending them together, you could potentially purchase only one image and skip Photoshop all together. Unfortunately, to avoid using a premade composition, you would need to spend a bit more money for several images and learn how to combine them, or hire an artist to do this for you. And as always, whether you’re doing your own cover or working with a designer, do a reverse image search to make sure your cover doesn’t have a twin… or seven.